Having a good credit score is important for many reasons. 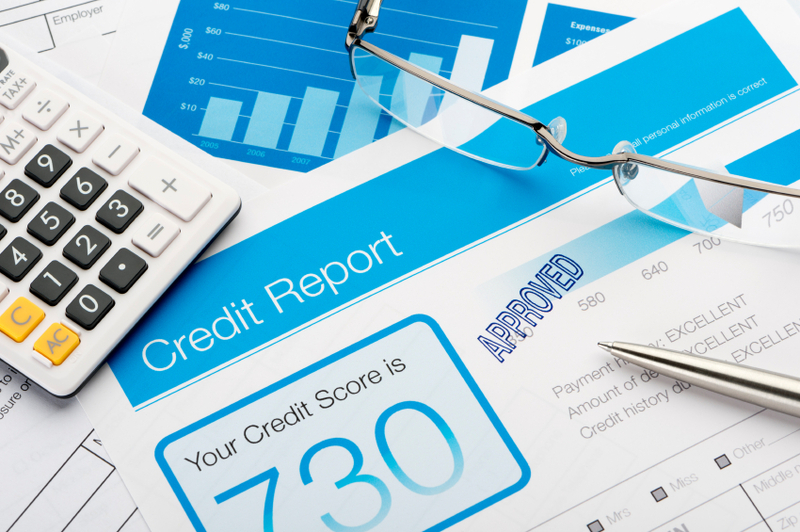 Not only do financial institutions check credit scores when people apply for mortgages, but potential employers and landlords often choose to obtain credit records as well. Good credit scores can help new homeowners obtain better interest rates than those with marginal credit scores. In fact, it is often difficult for those with a credit score that is below 640 to obtain a mortgage at all. If your credit rating is below the desired level, or if you want to improve it to obtain even better interest rates on loans, there are several things that can be done. Cleaning up bad credit cannot be accomplished overnight, but it can be steadily improved if you are willing to put some effort into this task. 1. The first thing on the list is to get rid of all outstanding debt. Many people carry debt on their credit cards. Quite often the amount is substantial and can be in the thousands of dollars. Not only does this affect credit scores, as interest rates on cards are often prohibitive. If the interest rate on your card is high, switch over to a low-interest card and start systematically making payments that are larger than the minimum required payment. This shows lenders that you are willing to make an effort to pay off your debts. 2. Obtain a copy of your credit report. The big three credit reporting companies are required by law to give you a free copy of your credit report once a year. Check the report and make sure there are no mistakes. If you have paid off an account and this is still listed as outstanding, it needs to be corrected immediately. If there are bills on the report that seem unfamiliar, make sure to follow this up in case you have been a victim of identity theft. 3. Never miss a rent or utility payment. This may seem like a small thing, but every time you miss a phone or electricity payment, it is reported to the credit reporting companies. Every missed payment results in a small reduction in your credit score. Since you are trying to build up your score, this is obviously something that should be kept in mind. The same applies to payments for student loans and car loans. The sooner they are paid off, the better. 4. Assuming you have paid off most of your debts, one way of increasing your credit score is to obtain a new credit card or get a small personal loan. The purpose of this is to build a solid payment history that raises your score. The loan should not actually be used to buy anything, but rather it is kept in a savings account and used to pay off the loan with regular monthly payments. The same principle applies to purchases made on the new credit card. Make only small purchases and pay off the balance every month. This shows lenders you are able and willing to pay off loans and the act of regularly making payments raises your credit score. 5. Keeping steady employment is another way to raise your credit score. Lenders and credit bureaus look favorably on people who have steady long-term jobs. Not only does this indicate that the individual has the capacity to earn money and pay off debts, it also indicates stability and reliability. Both of these qualities are considered very important by lenders, since it makes it more likely that borrowers are going to pay off their debts. People who have improved their credit scores enough to meet lender credit score requirements may wish to visit Simply Finance to check out their financial products.